Barack Obama says the most important quality is vision for the future. No, says John McCain, the key requirement is experience - or at least that's what he said until he picked Sarah Palin as his running mate. Both want the most powerful job in the world - but neither they, nor anyone else, can agree on what, precisely, are the qualities needed to serve as president of the United States. Indeed, there is not even a job description - only an oath of office demanding the president defend the US constitution. What's more, the job keeps changing, evolving constantly in the 220 years since the presidency was created, a dozen years after the founding of the republic. Still, an understanding has gradually emerged of the key qualities required of a president. The trouble is, they are so many and various, it is almost impossible to imagine any normal human being matching up. Ever since Theodore Roosevelt described the presidency as a "bully pulpit", Americans have expected first-class rhetorical skills from their leaders. A president must be able to inspire, to preach, to stir the American people to greater things. 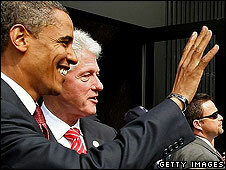 In the modern era, Franklin Roosevelt, John F Kennedy and Ronald Reagan all had a great talent for communication; so too did Bill Clinton, though in a different style. The presidents who have struggled - both George Bushes and Jimmy Carter come to mind - were those who lacked oratorical gifts. But the job requires more than that. Americans look to their president as a protector, someone who will keep the country strong and ward off its enemies. Franklin Roosevelt was a great war leader. As the former Allied commander during World War II, Dwight Eisenhower made Americans feel similarly secure. 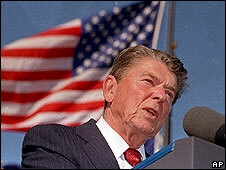 Rightly or wrongly, Americans still revere Reagan for winning the Cold War. Foreign policy acumen is a related and essential element in the presidential kit of parts. It's why Mr McCain makes so much of his own experience in international affairs - and why the Obama camp equally emphasises Sarah Palin's lack of a foreign policy record. The first George Bush's reputation rests on his skilful handling of the post-Cold War world, while his son will have to persuade future historians that he did not make terrible blunders abroad. Yet skill on the world stage is not enough to guarantee the respect of posterity. Richard Nixon regarded himself as a geo-strategic sage, thanks to his opening to China, but he is still known by a single word: Watergate. Domestic scandal trumps international accomplishments. Put that down as another lesson for those keen to learn how to be a good president: you need to be, if not saint-like in your honesty, at least not so mendacious that you get tangled up in your own deceptions. It helps if you're someone who can get things done. Lyndon Johnson will forever be saddled with the disaster of the Vietnam war, but he retains respect for passing a canon of social legislation - from civil rights to his war on poverty - that genuinely improved millions of lives. That was largely down to his mastery of the often arcane ways of the senate, which he had once dominated as majority leader. That hard-headed, practical ability to get results is often underestimated. In the words of British journalist Yasmin Alibhai-Brown, Johnson "pushed through so much legislation which has changed the way we think about equality, equal rights and human dignity, and I think that is a huge accolade". 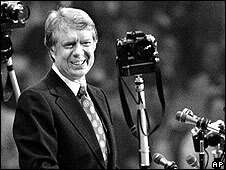 It's good if you're a palpably decent man, as Jimmy Carter was - but less good if that makes you seem lofty, prissy or aloof, as Carter often seemed. It's good if you can keep the country at peace and the economy in rosy health - as Bill Clinton did - but less good if you let that get overshadowed by personal indiscipline, as he did. Finally, in the modern era, the president needs a compelling personal story, great charisma and as much screen presence as a movie star. As I discovered making President Hollywood, the demands of Washington DC and Tinseltown are remarkably similar. 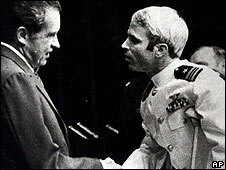 Which man matches up to this impossible checklist, Barack Obama or John McCain? Well, the American people will decide that on 4 November. But they had better get used to one thing right away: the president with every one of these essential qualities simply does not exist.